Home | Toddler | Todder Health Concerns | What is Whooping Cough? Whooping cough is rare in the US since the introduction of the vaccination programme in the 1950s. There's an incubation period of one to three weeks before symptoms appear after contact with the bacteria that causes whooping cough. 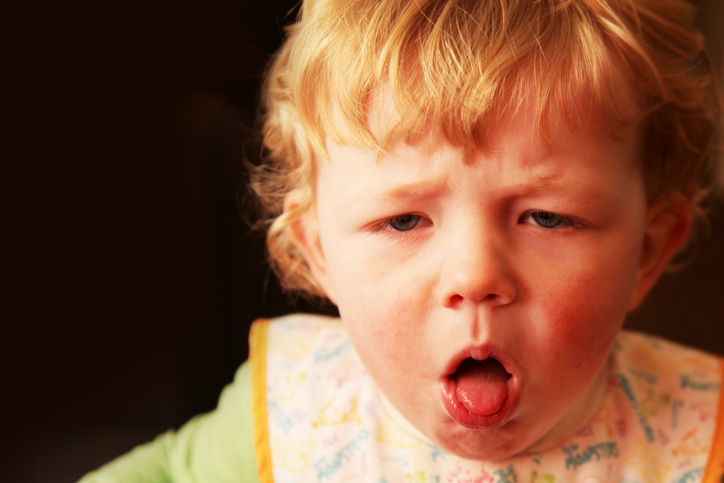 Whooping cough, when it does occur, is commonest amongst young children, although it's not unheard of in adults. In rare cases, it can be fatal, which is why it's so important that as many people as possible take up the childhood immunization programme. It's estimated that at least 95% of the population needs to be immunised in order to eradicate whooping cough and other serious illnesses. The condition is characterized by a cough that is followed by a very distinctive 'whoop' as the sufferer draws breath. Young babies and children might gag or gasp, and turn a bit blue in the face instead of whooping, but it looks worse than it is, and they will recover their breath quickly. These symptoms follow a week or so after the earliest cold-like symptoms of a runny nose, sneezing, dry cough and fever (temperature of 100 degrees F or above) have already emerged. Babies under a year old with whooping cough are usually admitted to hospital because of the risk of complications. Older children and adults usually respond to antibiotic treatment, although in severe cases corticosteroid medication may also be given. Other self-help measures include taking paracetamol or ibuprofen; clearing phlegm from the chest as much as possible; drinking plenty of fluids and getting lots of rest. Full recovery can take three months or more.